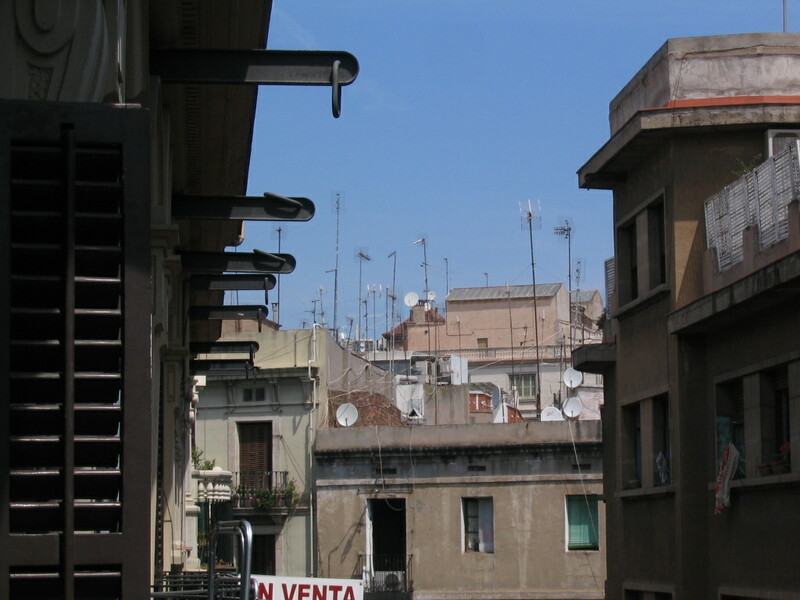 There was only one day after I arrived before classes started up. 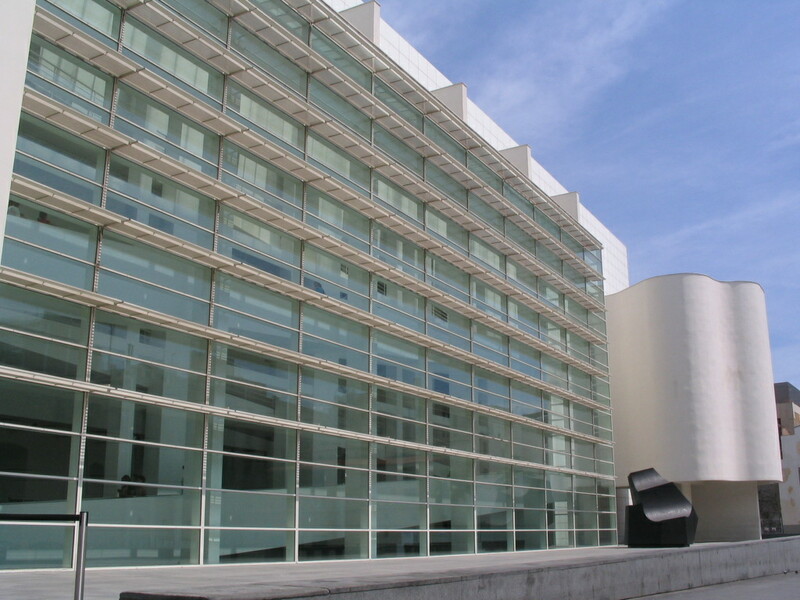 We went to the contemporary art museum MACBA (Museu d'Art Contemporani de BArcelona), the main building of which was designed by Richard Meier and opened in 1995. 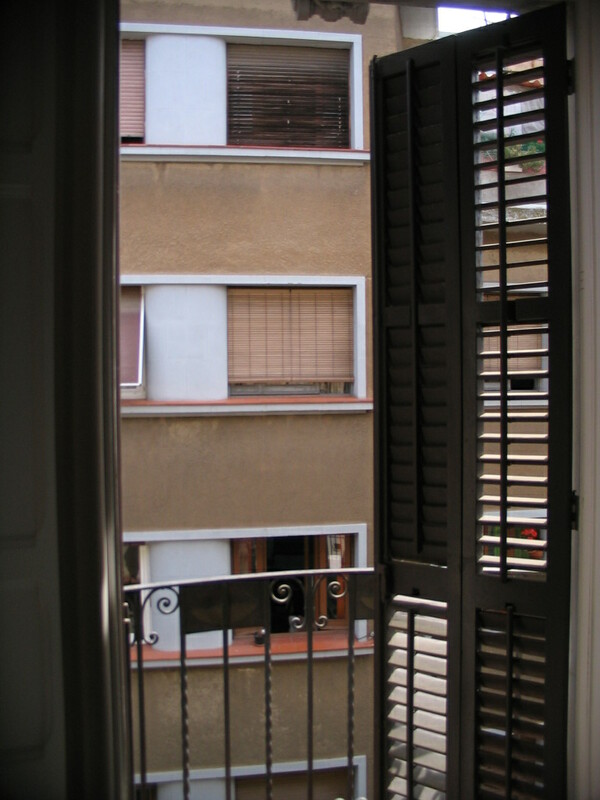 A peek across the narrow street from our living room balcony door. 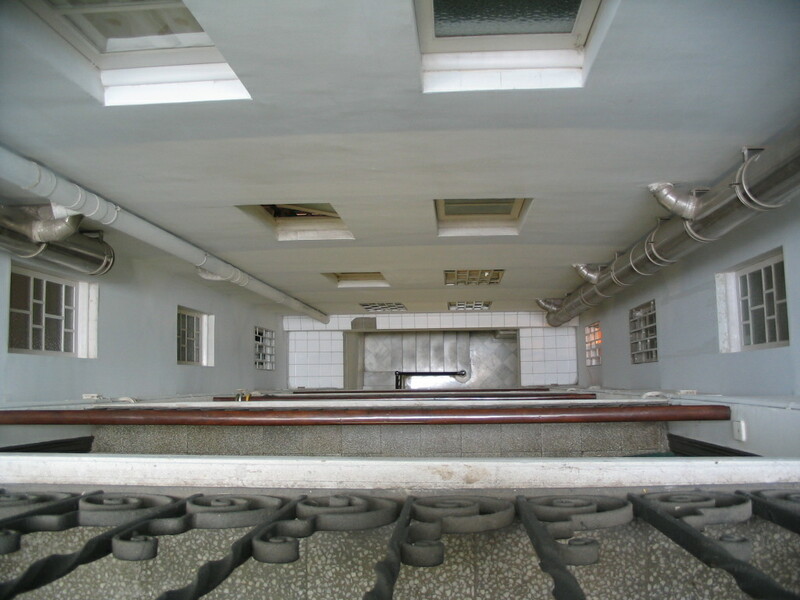 A precipitous view to the bottom of the stairside lightwell. 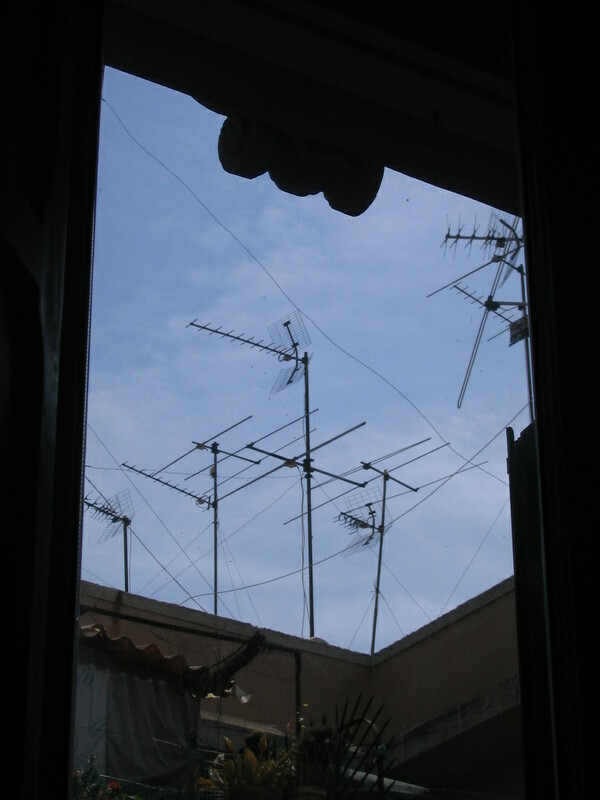 Lots of antennas in the vicinity. 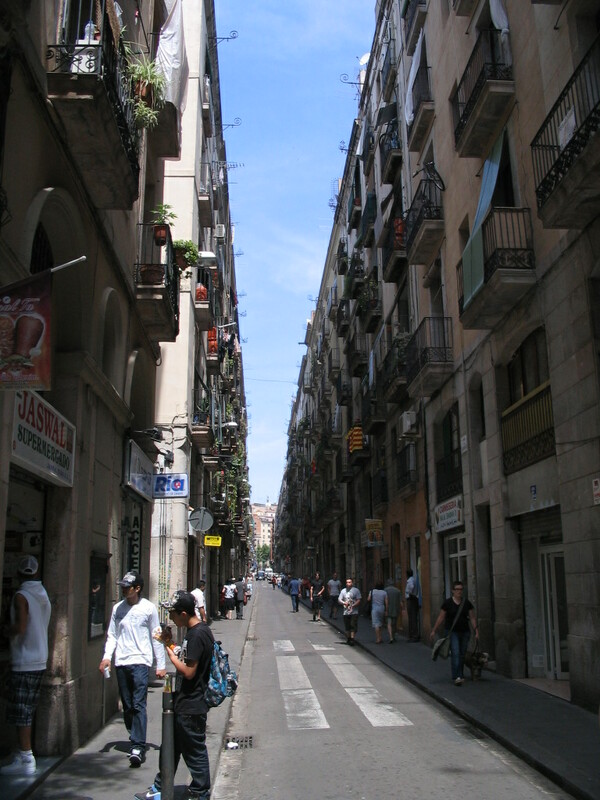 The street canyon of Carrer de Joaquin Costa, looking northwest by Carrer Guifré. 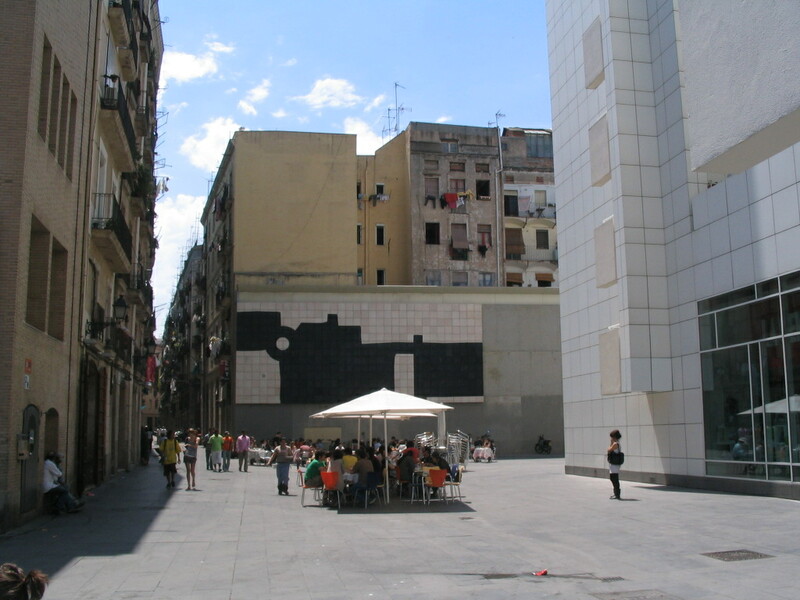 MACBA is tucked within El Raval, the southwestern portion of the Ciutat Vella, and its buildings are arrayed around the Plaça dels Àngels. 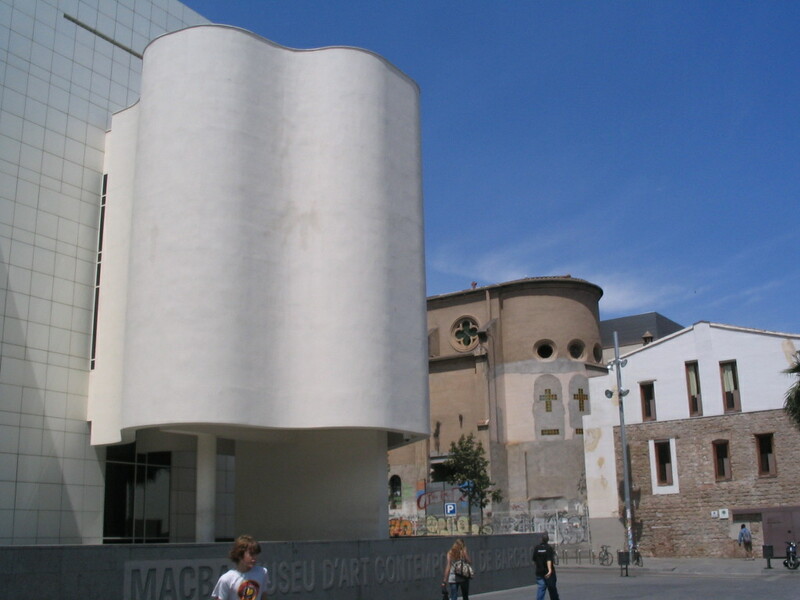 This building on the southeast side of the square, the Convent dels Àngels, is an auxiliary part of the museum. 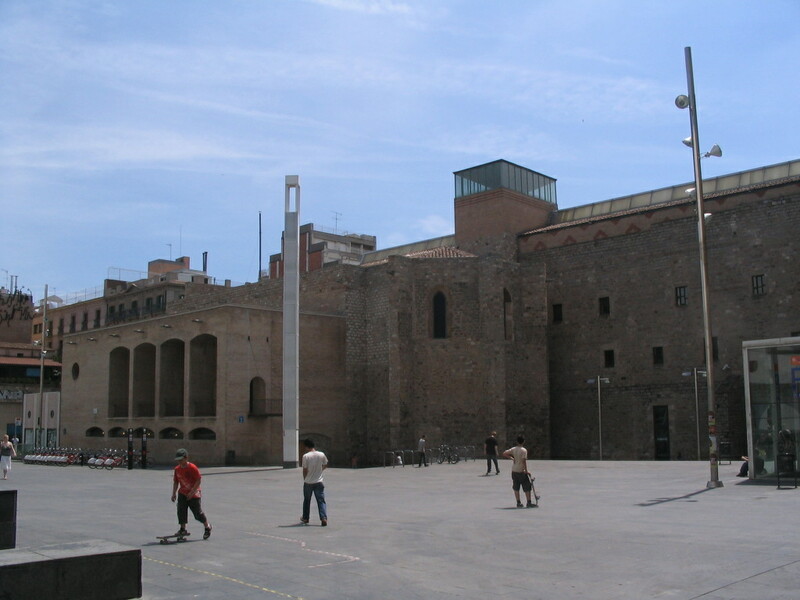 The Plaça is a popular skateboarding spot. 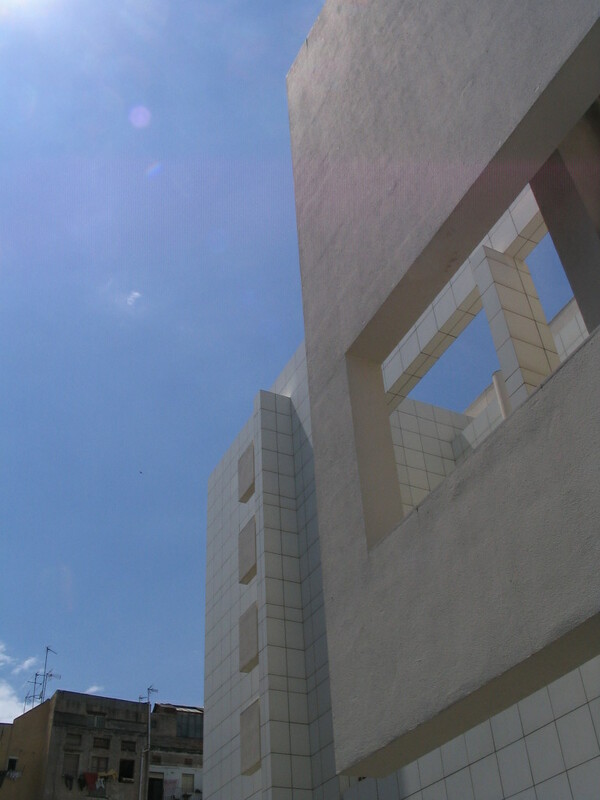 The main building, on the northwest side of the square, has a typically Meierian white-modernism look as well as an Aaltoesque (and also Meierian) wavy volume. 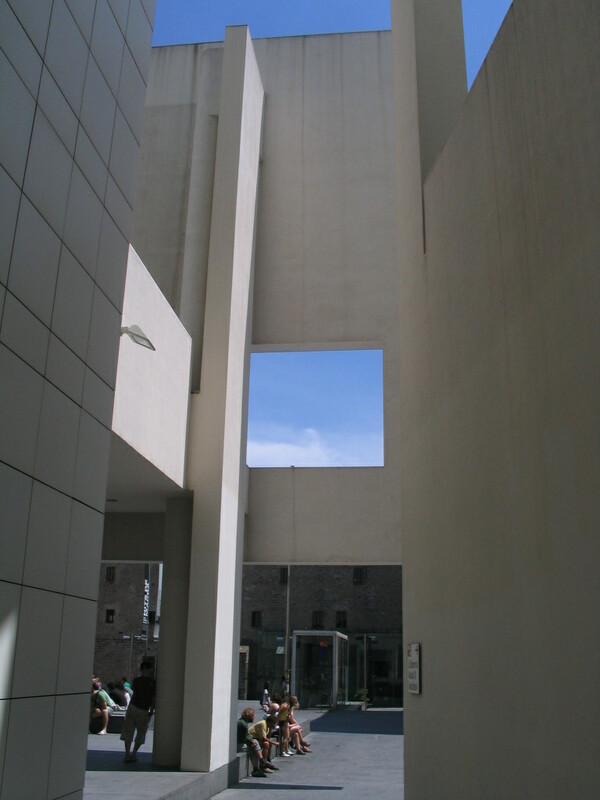 On the northwest side is an added wing of the Convent, housing the museum's Study Center. In the lobby, another Aaltoesque wave. 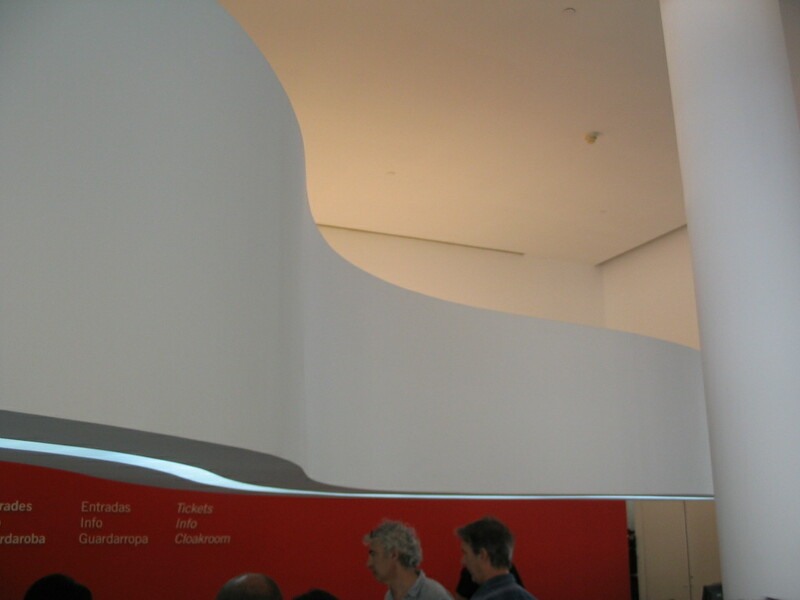 This is all you're getting of the museum interior, because no photography was allowed in the exhibits. 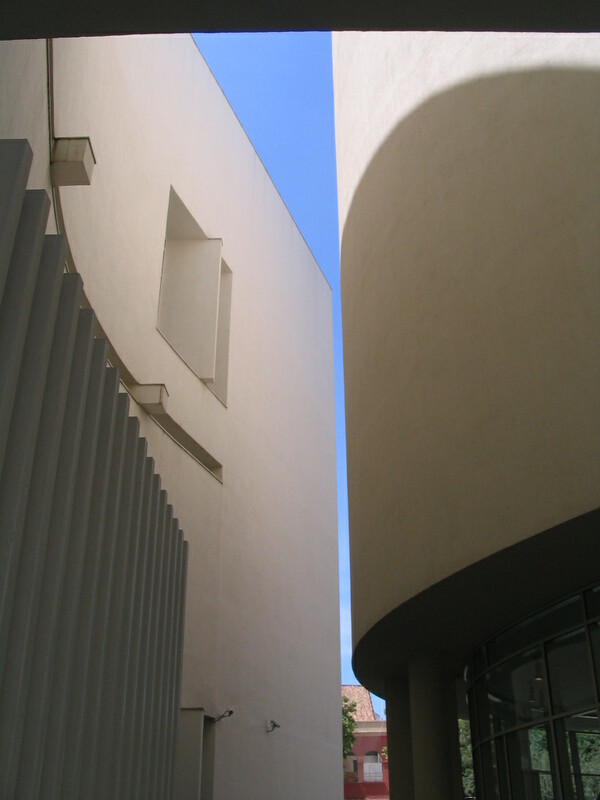 Hours later, after reemergence: Corbusian sun reaching and reflecting onto some intriguing interstitial walls. 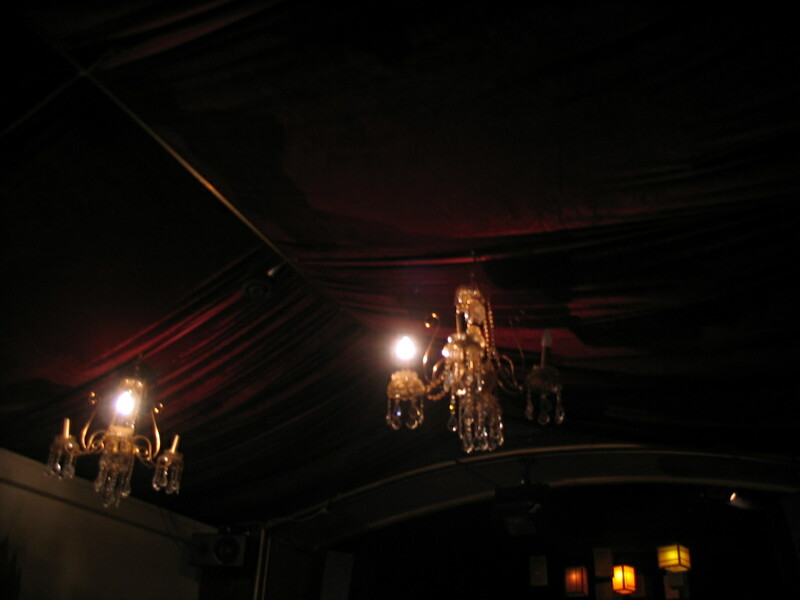 We had a late lunch in a restaurant with a rather mysterious, Oriental-esque interior. 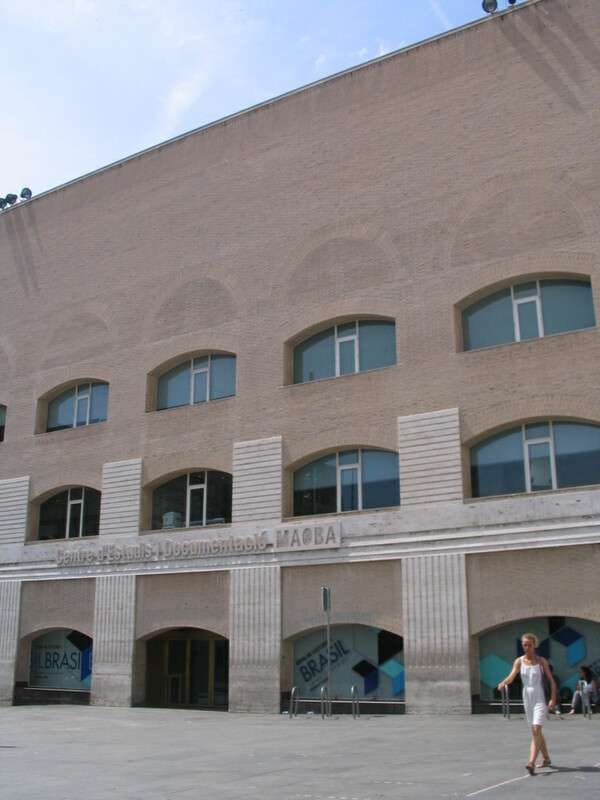 And I thought the Porvoo mortar was proud! 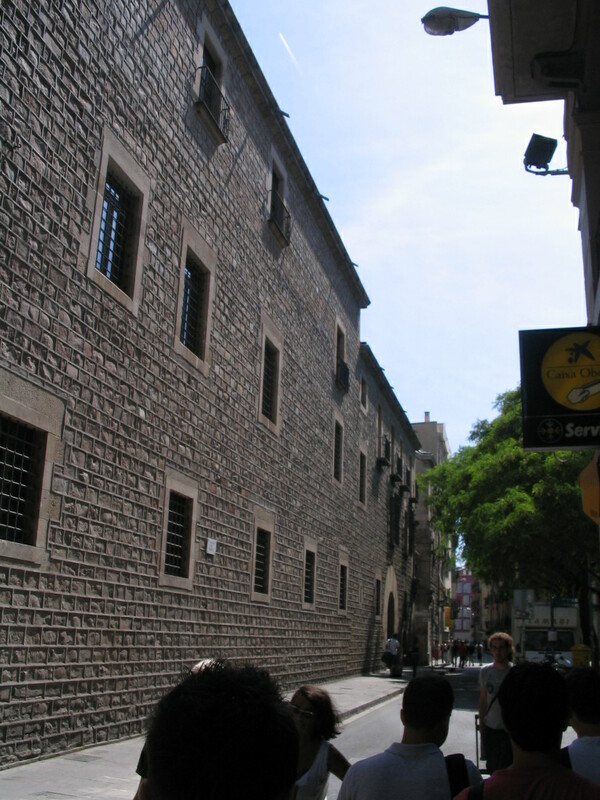 This is a wall of the Institut d'Estudis Catalans along Carrer Carme.